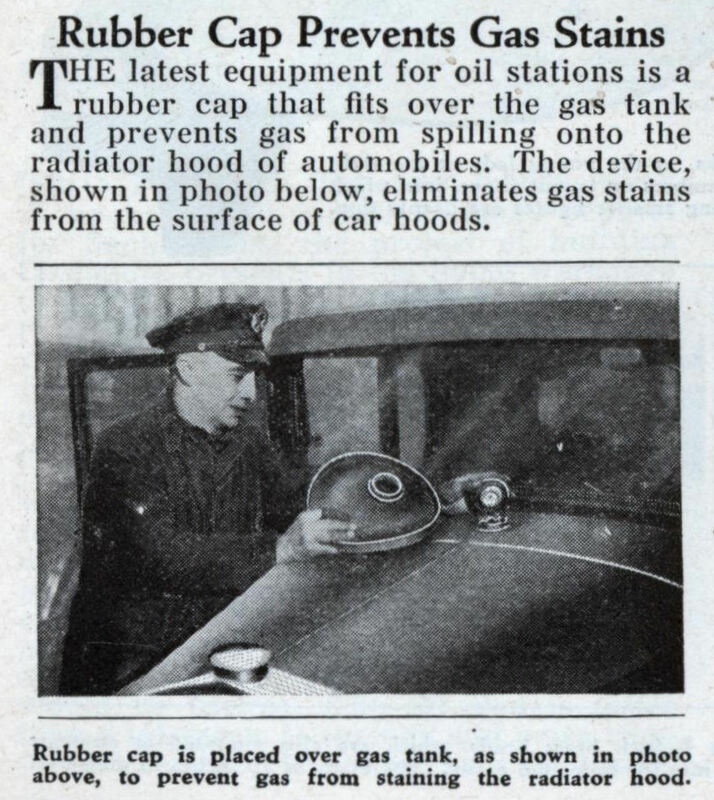 THE latest equipment for oil stations is a rubber cap that fits over the gas tank and prevents gas from spilling onto the radiator hood of automobiles. 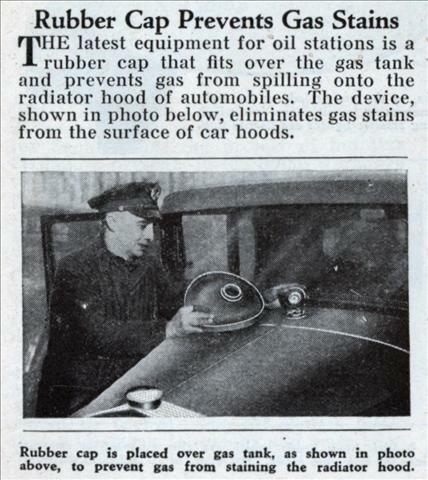 The device, shown in photo below, eliminates gas stains from the surface of car hoods. That’s where the fuel tank filler is? damn, that’s a weird, (and invonvenient) one! Al: It was a gravity feed system so there was no need for a fuel pump. 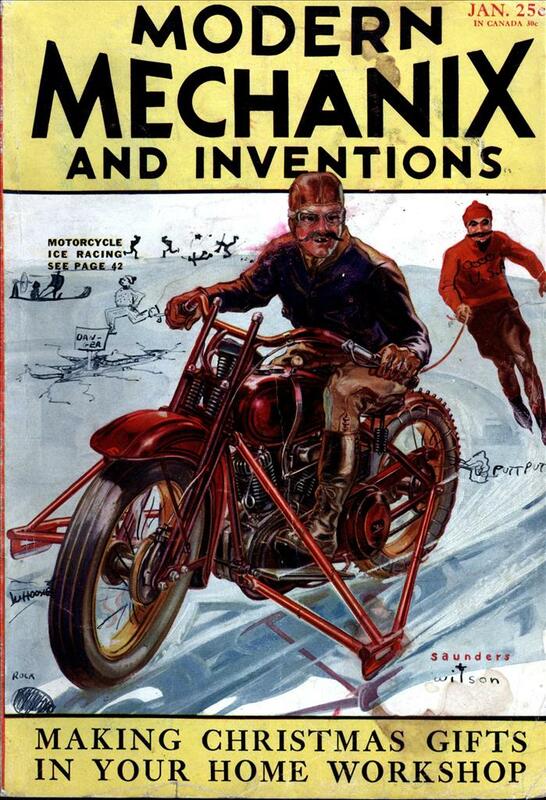 Offhand though, I think the Model A Ford was the only one that used it. At least in any kind of large scale production. Fairly common at the time- Model A Fords were set up like this. The tank was positioned immediately behind and above the engine to allow the fuel to flow downward to the engine, thus saving the cost of a fuel pump. I guess this was before the advent of funnel technology. Why do you think that panel between the driver and engine compartment is called a “fire wall”?